HAPPY FRIDAY! I am so thankful it is Friday you all have NO idea! I wanted to share a couple of things I found throughout the week!! First, I actually have owned THESE pj’s from Target for a couple years and I saw they still have them in a ton of colors!! They are LEGIT the best pjs….I wear them now in pregnancy, they are PERFECT for nursing especially those first weeks of baby being home. They are so soft and cozy and they wash up great!!! I just ordered 2 more pairs! I also ordered this henley dress which I think will be a great dress for nursing but also it looks so cute with a bump because of the shape! If you saw my post earlier this week on Non-maternity clothing for pregnancy, it is all about the shape for a dress that works with a bump. I also saw this tee. I own it in the gray and saw they have a striped one! I am pretty sure I need it. I haven’t ordered it but I pretty much need it! I think it will be a great tee for now with a bump and later for everyday wear!…Did I mention its only 19 bucks!? I also snagged this bath towel for baby girl. I wanted to share this because I absolutely LOVE and can attest to all Burt’s Bee Baby Bath items. From their bath wash, to their wash clothes and towels, I love them all! OK PEEPS one last thing, I NEED YOUR ADVICE! I ordered these shoes for Eli. I AM desperate to find him shoes! I ordered an 8.5 wide. I seriously can NOT find shoes for the kid! He has the fattest widest feet! It is so difficult to find a good pair of shoes for him! Let me know if you have any…I ordered these and I am praying they work! 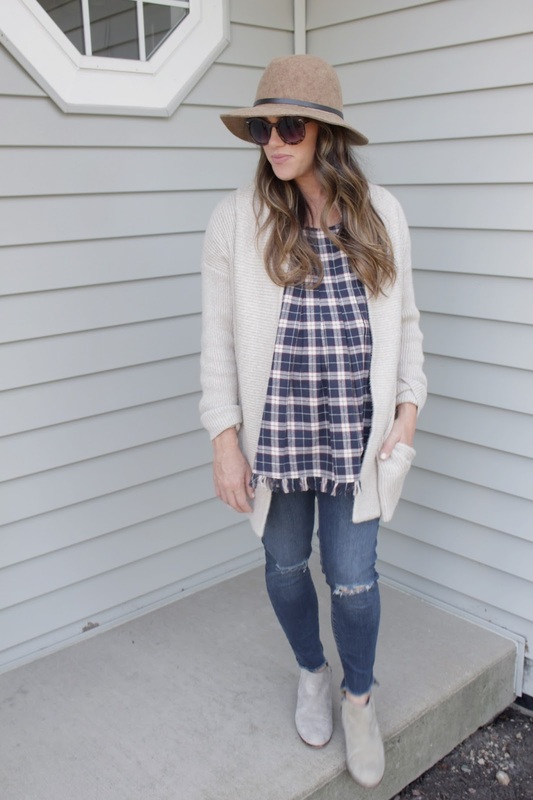 Next Post Dresses for Every Mama ~ Pregnancy, Nursing & Normal Everyday Life!